that is forever England "
Flying Officer Alderdice and Lieutenant Winks are commemorated on the War Memorial, Cross Green. 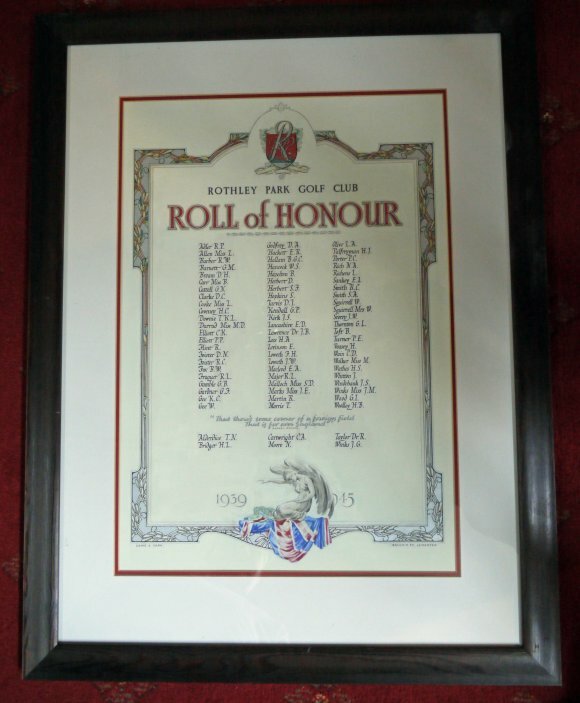 The Roll of Honour is on parchment and made by Lowe and Carr, Belvoir Street, Leicester. It hangs in the lounge of the Rothley Park Golf Club, Westfield Lane, Rothley.